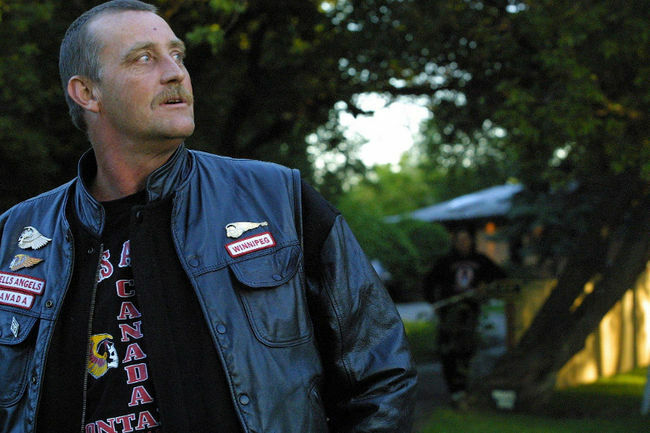 Nearly six years and two high-profile drug trials later, former Hells Angels boss Ernie Dew finally knows his fate. Twelve years in prison and the possibility of 18 months more if he can’t cough up a $57,500 fine two years after being released. Dew, 52, was previously convicted of three counts of cocaine-trafficking and three counts of possession of property obtained by crime. Court of Queen’s Bench Justice William Burnett sentenced him Friday to the 12-year term. “There is no doubt in my mind that (Dew) was a sophisticated high-level drug dealer,” Burnett said in his 21-page written decision. After being credited for time already served, Dew had 23 months left to serve. However, he requested Burnett hike his remaining sentence by one month so he could be sent to a federal prison and not a Manitoba jail.